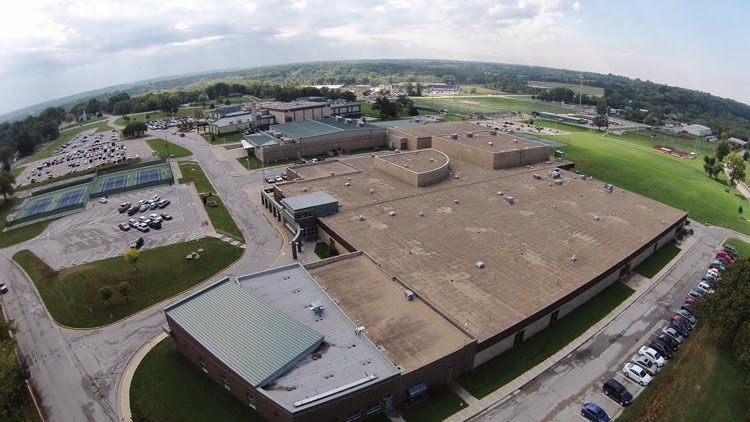 BONNER SPRINGS, KAN. – Clark Middle School will soon host the Tomahawk Trot, an annual 3.1 mile walk/run giving students and staff the opportunity to get active while raising funds for the school. The Tomahawk Trot will be held on Friday, October 10th at 1:30 PM, starting and ending at Clark Middle School. The activity was formerly known as the ‘Panther Prowl’. At the beginning of this school year CMS changed its mascot to a Brave, with the change also came a new name for the fun run. The event also serves as an annual fundraiser for the school, funds from student registration will go towards school activities. This year’s event has not only been rebranded, it’s also being given a new, unique point of view. The school recently obtained a drone capable of taking photos and video from hundreds of feet in the air. Innovative Technology teacher Eric De La Rosa says the Tomahawk Trot is the perfect opportunity to test out the new gadget. “We’ll be able to get a whole new perspective,” said De La Rosa. The drone will be used to take photos as students run the 3.1 mile course. De La Rosa hopes to use the new camera for events throughout the school year, and give students the opportunity to explore a new side of technology.